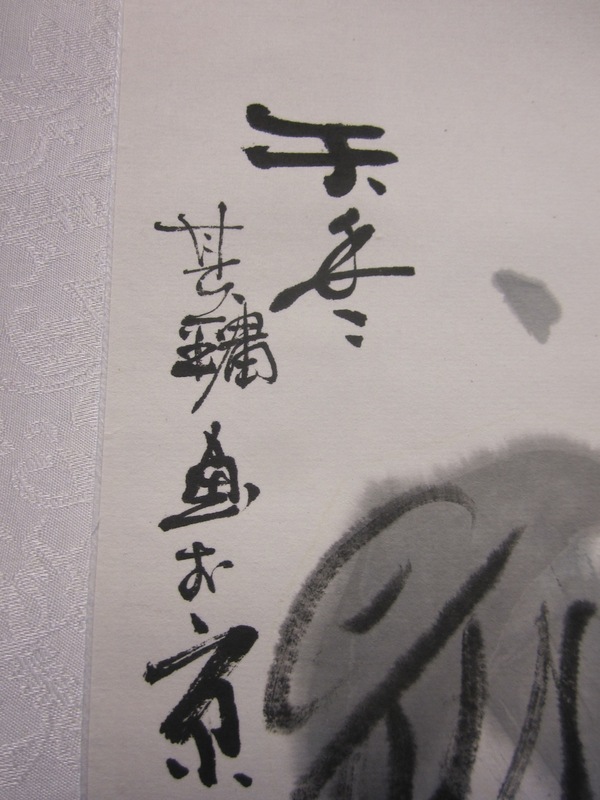 Subject:Painted silk scroll signature seal marks? Could anyone assist me in identifying the artist, subject and age of this painted scroll please? 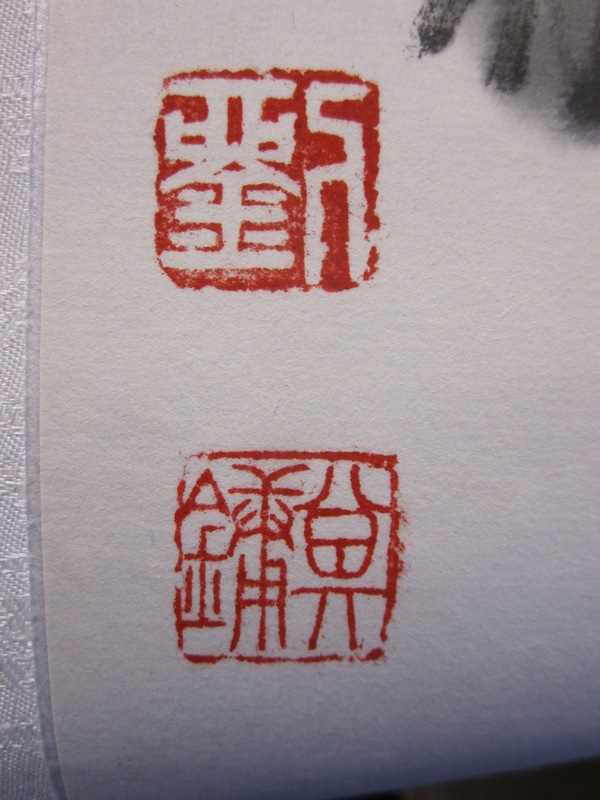 Subject:Re: Painted silk scroll signature seal marks? The artist is 劉其鏞 Liu QiYong. And my reading of the title is 于冬 "in Winter" but I could be wrong with that. Liu QiYong was born in Xian in Shaanxi province in 1952. 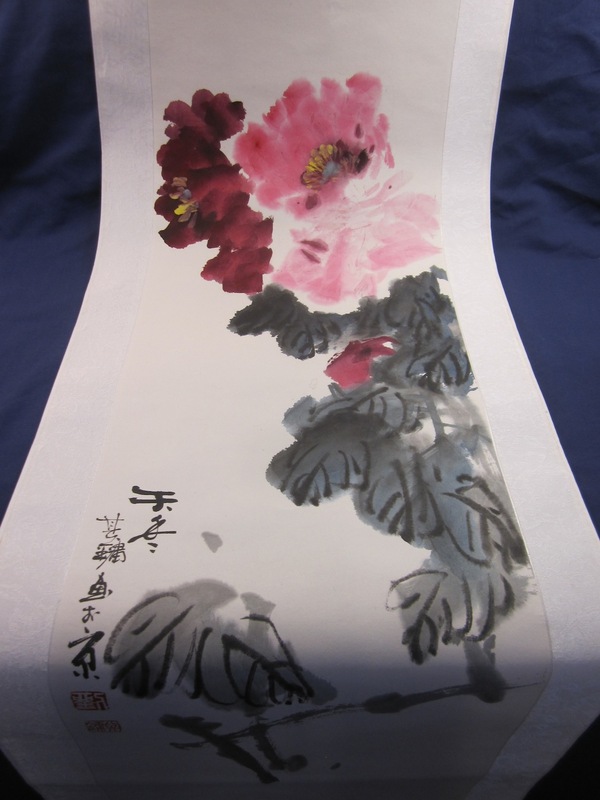 If you google his name in Chinese you could find more images of his paintings. Many are of Roosters, I am not sure why. It is not his birth sign as 1952 was a dragon year. I found them by googling 劉其鏞. 劉其鏞. Copy and paste that and you should get it. Thank you so much Mike. That is really helpful.